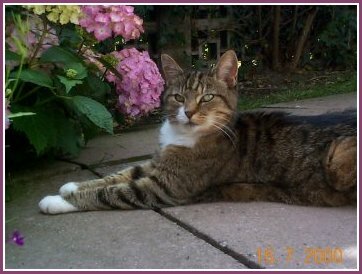 She was 18 years old a beautiful tabby/white. I miss you so very much. The love you gave to me was like no other love I have known. My heart is braking, you were my life, and my one true friend. My life is so empty without you. Good night my sweet precious baby.